Career criminal Callum Lynch is rescued from his own execution by Abstergo Industries, the modern-day incarnation of the Templar Order. 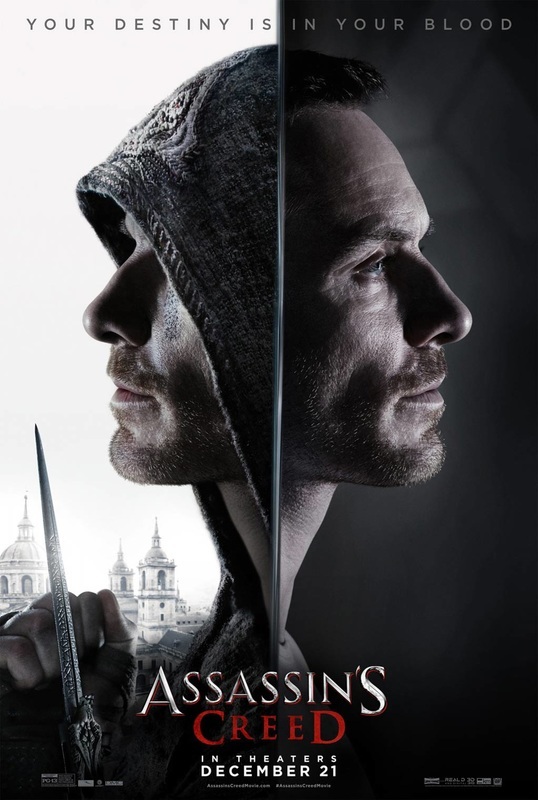 He is forced to participate in the Animus Project and relive the memories of his ancestor Aguilar de Nerha, an Assassin during the Spanish Inquisition. As Lynch continues to experience Aguilar's memories, he begins to gain the knowledge and skills necessary to confront the Templars—age-old enemies of the Assassins—in the present day. Assassin's Creed Movie & Video Game Prop Peplicas, Figures, Toys and Collectibles! Life-size statue of Connor Kenway from Assassin's Creed 3! For die-hard fans of the Assassin's Creed video game series. Stands approximately 6 3/4-feet tall! Weighs 193.6 pounds! Did we mention that this is life-size? If you're a die-hard fan of the Assassin's Creed video game series, you just stumbled across the Holy Grail of collectibles from the games! This Assassin's Creed 3 Connor Life-Size Statue is simply one of the most incredible and highly detailed statues of a video game character ever to be created for sale to the public. Armed to the teeth, the life-size resin sculpture stands 6 3/4-feet tall on a themed base that measures 4 1/4-feet wide, and it weighs 193.6 pounds! 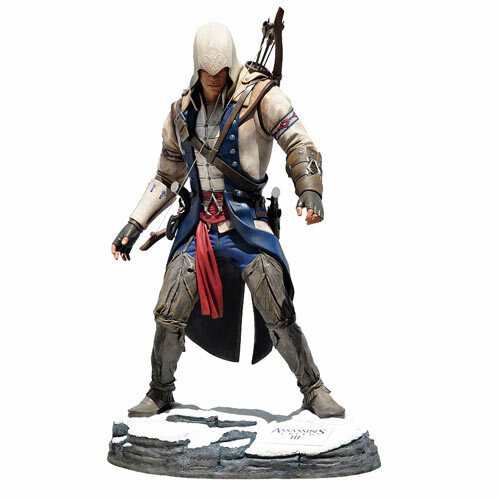 With more details than you can easily wrap your head around, this is the definitive statue of Connor from the Assassin's Creed 3 video game. It belongs in the abodes of only the most avid of fans. The statue comes in three boxes. This time, the Assassin's Creed story takes place in 1775. The American colonies are on the brink of revolt, and Connor Kenway, a murderer, has vowed to ensure the freedom of his people and his nation. 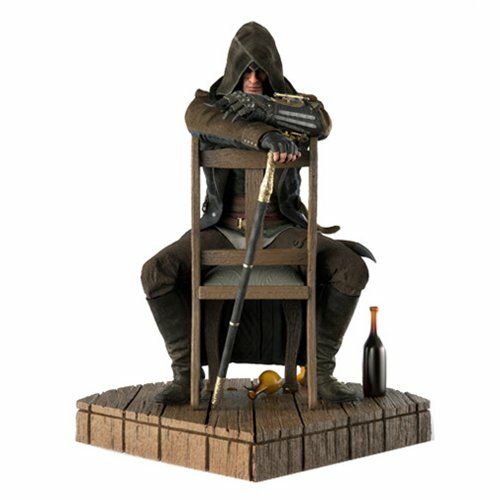 TriForce proudly presents the officially licensed Assassin's Creed Syndicate Jacob Frye Premier Scale Statue masterfully sculpted and painted by the artisans at TriForce! The end result is the most authentic portrayal of the Assassin on the market. The Assassin's Creed Syndicate Jacob Frye Premier Scale Statue is hand-finished and hand-painted to precision quality. Intricately crafted and cast in polystone, it measures over 16 3/4-inches tall! Own this authentic piece of video game history as part of a limited edition of 500 pieces. ​From the 3rd game of the hit historical action-adventure game series From the #1 video game! 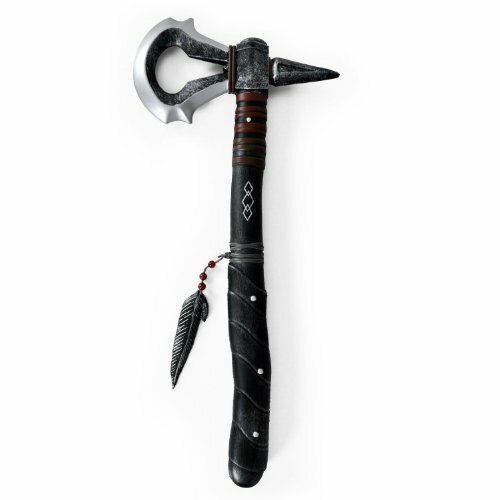 Assassins Creed III - Connor's Tomahawk Latex Battle Damaged Replica - Ikon. America - the 18th Century. The thirteen colonies are on the brink of Revolution. The protagonist Connor, is thrust into tumultuous 18th Century revolutionary America. Born to a Mohawk mother and British father, he struggles to find his place in a world that views him as an outsider. Complicating matters, Connor's Mohawk community is under threat from a powerful group that wants to push them of their land. Connor trains to become an assassin in order to save his people's territory. Connor discovers that the same forces threatening his community are also working to take control of the thirteen colonies. He embarks on a decades long adventure with this trusty tomahawk. This realistic size replica is measuring almost 500mm (20") by 225mm (8.5"). Manufactured from PU Latex with a fibre glass insert to give it a more weight and feel. ​The games are set in a fictional history of real-world events and follows the centuries-old struggle between the Assassins, who fight for peace with free will, and the Templars, who desire peace through control. ​The games use the concept of "active" versus "passive" moves, with "active" moves, such as running, climbing the sides of buildings, or jumping between rooftops, more likely to alert the attention of nearby guards. When the guards become alerted, the player must either fight them or break their line of sight and locate a hiding place, such as a haystack or a well, and wait until the guards' alert is reduced. The combat system allows for a number of unique weapons, armor, and moves, including the use of a hidden blade set in a bracer on the Assassin's arm, and which also can be used to quietly assassinate targets. 2012 Ize Stuff, All Rights Reserved! Contact Us - "Where to Buy Links" aStore: powered by amazon.com, .uk, de,. This article uses material from the Wikipedia article (Wikipedia editors: Gabtor - 179244) and "amazon.com" product descriptions and photos (amazon affiliate partner). Videos: "Embed code"